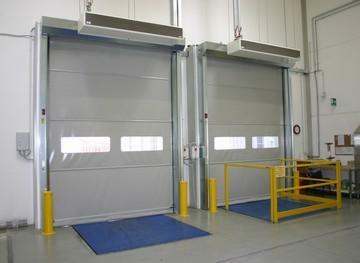 High-speed doors are used both inside and outside of buildings to optimize traffic flow, improve room conditions and save energy. 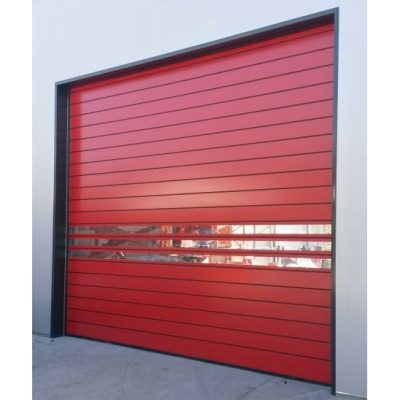 Our offer includes a flexible curtain which opens vertically, also in combination with sectional doors and rolling shutters and efficient and easy to maintain spiral doors made of smooth aluminum profiles. They guarantee functionality and security through a range of accessories ensuring the minimization of heat loss. 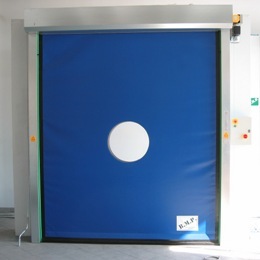 They provide a very economical usage thanks to the high speeds of opening reducing the waiting time in front of the gate. 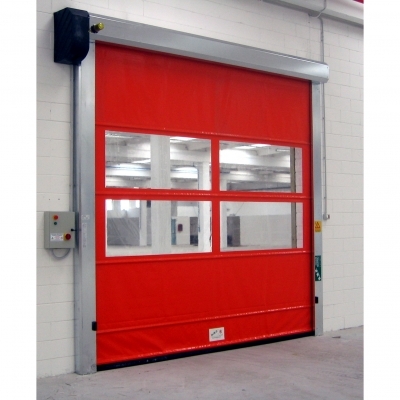 All doors are equipped with systems for emergency opening in case of power failure. 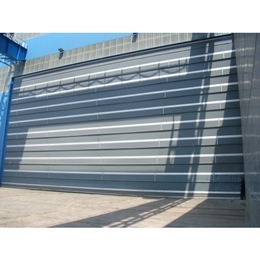 The gate structure, the housing and the motor shaft are made of stainless steel. 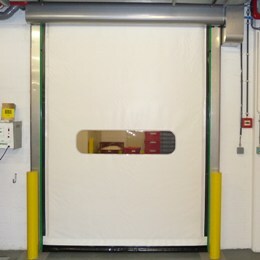 The door is mainly used in the food industry. The design is made of polyethylene, while the motor housing of stainless steel. 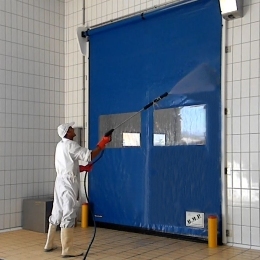 A major advantage is the ability to wash the gate with water under pressure, which is particularly important in the food industry. 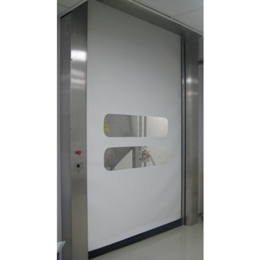 For interior use in sterile premises (laboratories, pharmaceutical, cosmetic). Folded into large openings. 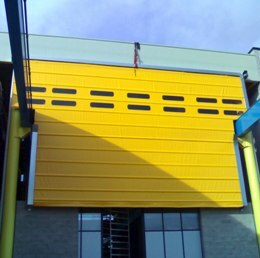 Curtain available in 12 colors is made of special profiles which, when colliding with the gate do not undergo permanent deformation, but after the removal of obstacles to return to their original shapes.